TransTech is constantly making innovations and bold moves within the various industries that we service. Below are some announcements, white papers, and general updates that we would like for you to know. Please take the time to look through this information for any updates that you might have missed. If you are curious about us, this is a good place to start. It will give you a good feel for our competence and expertise. If you have any questions, please don't hesitate to contact us. 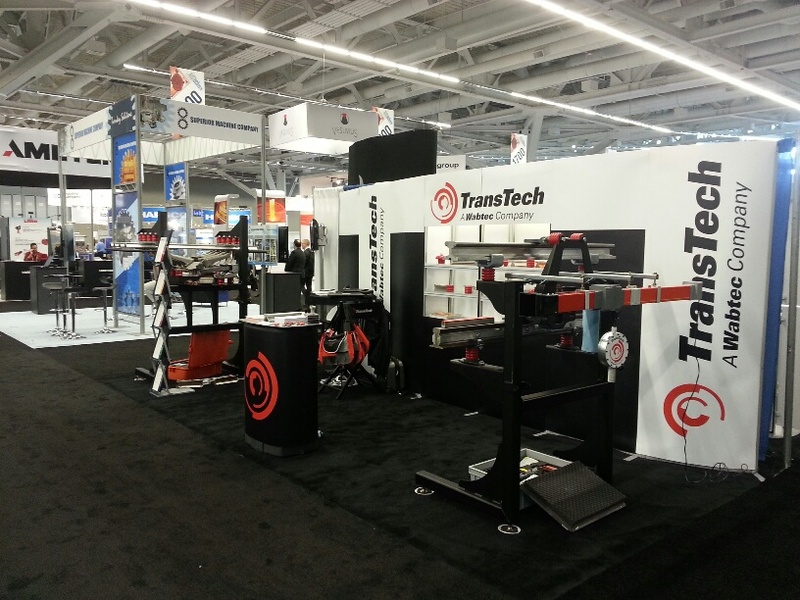 TransTech was delighted to exhibit at the 2015 AISTech show in Cleveland, OH. We had a superb show as many attendees came by our booth; enticed by our displays and eager to understand more about our products. Our tactile 1200 V-bar display included our dual arm collectors with our newly designed and improved contact block, 90566C-2. This redesigned contact block last approximately twice as long as our standard contact block, which reduces our customer’s maintenance time related to the replacement of these parts. Our other display included Akapp as well as an example our LM Standard collector presented with our TransDuctor bar. We would like to give a special thanks to Simmer’s Crane, ArcelorMittal, and Atlantic Track for stopping by our booth. 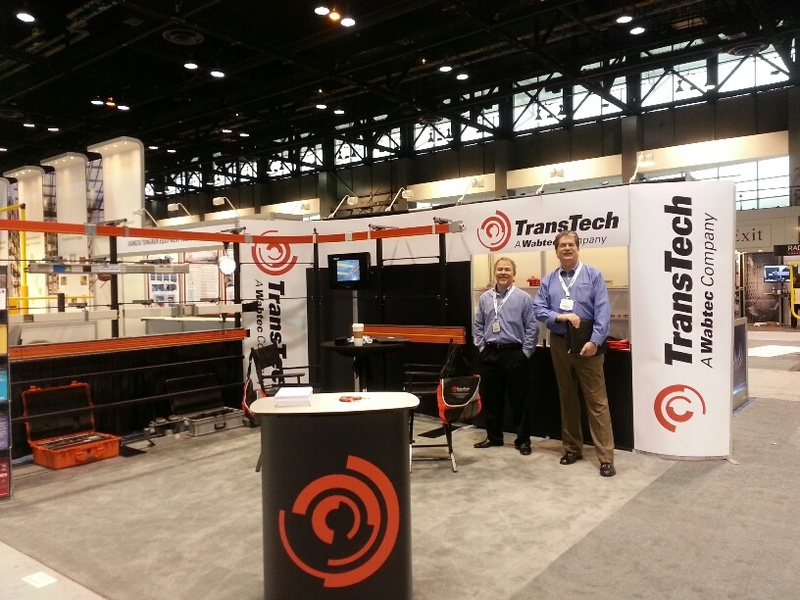 TransTech, a Wabtec Company exhibited at ProMat 2015 in Chicago. The show was wonderful as we were able to meet with both current and potential customers looking for power transfer solutions for their material handling systems. Some of these material handling system applications included power transfer needs in systems with cranes, AS/RS, order picking/order fulfilment and conveyers. The TransTech team had a great time displaying our products as well as highlighting the features, versatility, durability and longevity of our conductor systems; Akapp, Redi-Bar, & Productor. We’d like to thank EEPOS Aluminum Crane Systes, IntelliTrak, Caterpillar, and O’Brien Installations Limited/Met-Track for stopping by our booth. TransTech- A Wabtec Company exhibited in APTA 2014 last week. It was a great show! We were excited to learn more about our new Wabtec family and to visit with many of the leaders of the transit industry. The show was filled with a variety of fantastic exhibits, innovative products, and in-depth information. APTA is held every three years in conjunction with the American Public Transportation Association's annual meeting. It is public transit's premier showcase of technology, products, and services. It featured over 800 vendors, over 15,000 attendants, and educational seminars. 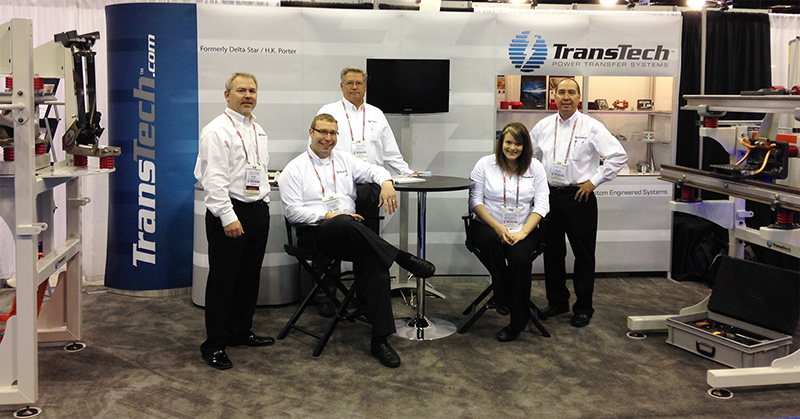 TransTech was proud to exhibit at AISTech in Indianapolis this year. It was a very eventful tradeshow with record breaking numbers of attendants. We had a great time learning new things about the steel industry, meeting new folks, and displaying our industrial products. We also had a team member in the running to win a brand new truck, which was very exciting! We very much appreciate all of our colleagues and customers who visited our booth. And thank you to AIST for holding such a successful event! Welcome to the new transtech.com. At TransTech, our customer is our first priority, and we strive for every encounter you have with us to be excellent. We are excited to unveil this website because we believe it will improve your experience with our company and ensure that it is in fact nothing short of excellent.